Transcat’s calibration labs are strategically located to be accessible to all customers, whether you're a single site or a company with multiple plants. 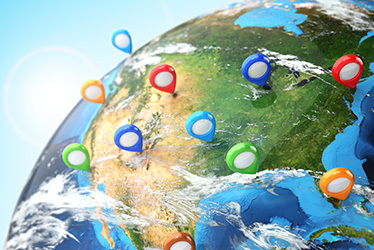 Transcat offers local service with international capacity and scope. 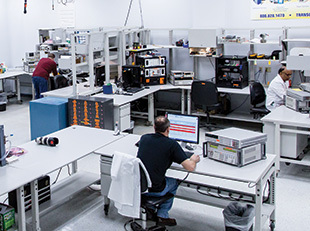 Each Transcat lab uses the same quality system, processes, datasheets, and calibration management system, guaranteeing consistency and standard practices across the network. 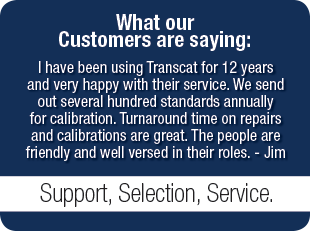 No matter which calibration service option you choose, when you calibrate with Transcat, you can expect prompt and responsive service including a seven-business-day turnaround on most instruments.